Palacios, A. M., & Wood, J. L. (2016). Is online learning the silver bullet for men of color? 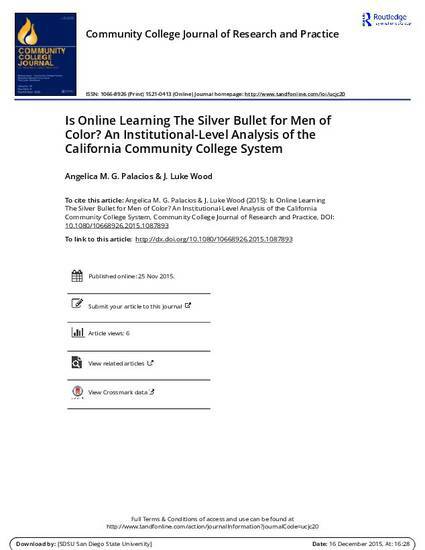 An institutional-level analysis of the California community college system. Community College Journal of Research and Practice, 40(8), 643-655.